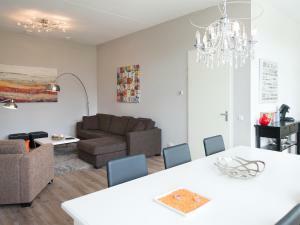 The furnitures only was the good thing in the apartment..
Before arrival: All queries were answered almost immediately. Upon arrival: Keys were delivered personally by BizStay Team Member, we were shown around the property, instructions/explanations given properly. The vacuum cleaner's dust bag needed changing; BizStay Team Member attended to the request promptly. Location is excellent. We stayed in 2 bedroom apartment, we are party of 4, parents and 2 teenagers. Location excellent with excellent facility. We feel like we are at home, it has almost all the equipments we need at home. 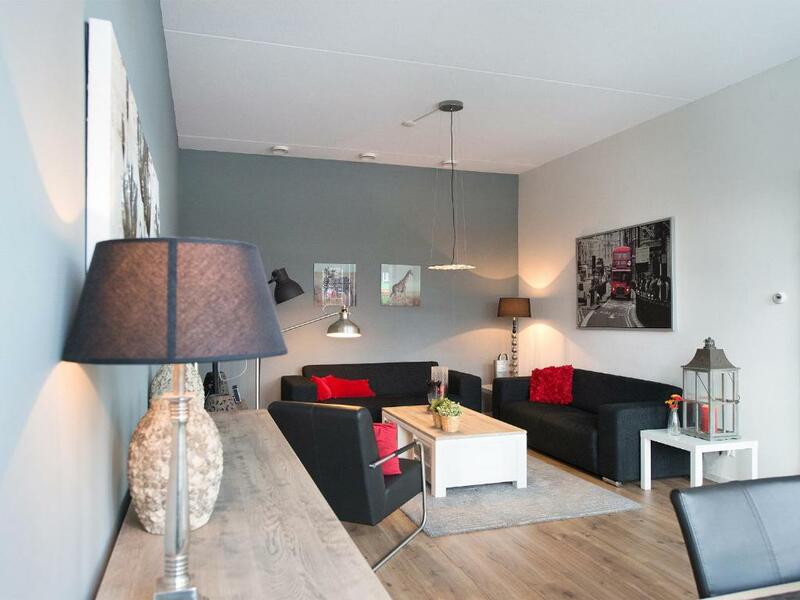 We like that the apartment is spacious for 4 of us and sits close to Den Haag HS. Host is helpful and responsivel, getting keys are easy. 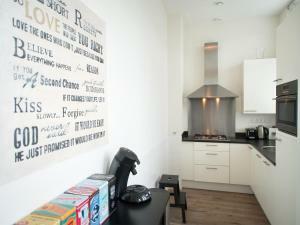 The apartment was very spacious and has a high standard and is well equipped. We were able to check in early, which was much appreciated. 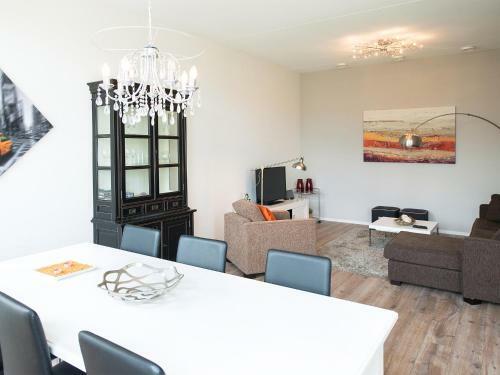 The apartment is located in the beginning of the high street, so you walk to the city center in 15 minutes or you can use the tram from Holland’s Spoor or Bierkade. The bedrooms are on the back side of the building, so you won’t hear any noice from the street when sleeping. We had a really marvellous time at this apartment and will definitely stay here again whenever in the Hauge. Thank you!! It was strategically located and all amenities were within walking distance. The host was superbly friendly, would recommend this to others in future. This was a perfect location and we absolutely loved it. We got a bit lost walking to the apartment and the host graciously tried to give us directions and patiently waited for us. I highly recommend this property if you are traveling in a group. The accommodation was as we had expected it and it was a walking distance to the centre of the city. Several trams and buses pass right in front of the apartment. 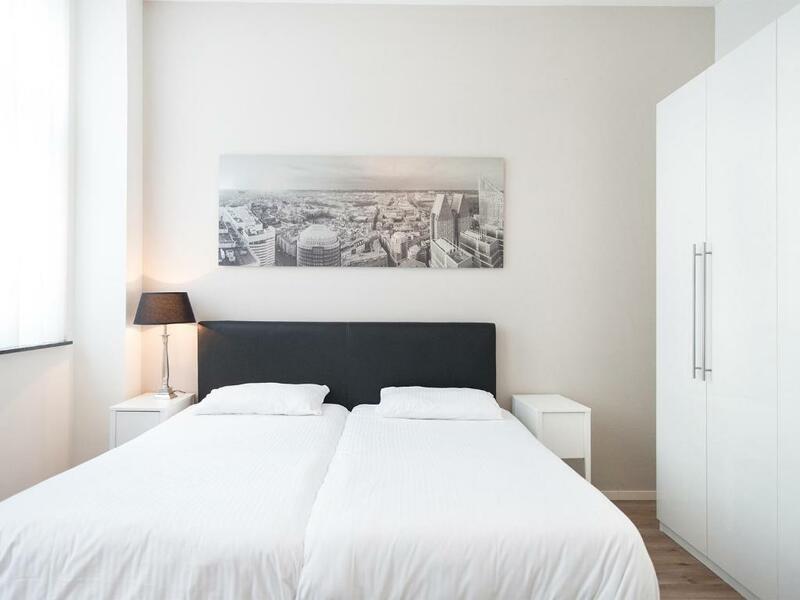 Lock in a great price for BizStay City Center Apartments – rated 9 by recent guests! Located only a 10-minute walk from the city center of Den Haag, Short Stay City Center offers self-catering accommodations with free Wi-Fi. Train station Den Haag HS is 5 minutes by foot. Guests benefit from free rental bikes. Each apartment features a patio, a living room with a TV and a bathroom with a shower and toilet. Free Wi-Fi is available throughout. 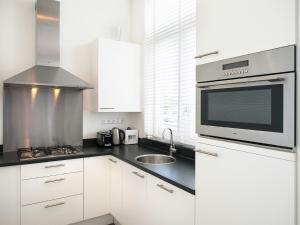 Guests can prepare meals in the fully-equipped kitchen. A variety of restaurants can be found within a 10-minute walk from Short Stay City Center. Paid parking is available. The beach of Scheveningen is 15 minutes by car. Madurodam is 3.1 mi, while Paleis Noordeinde is 0.9 mi away. Leiden is a 20-minute drive. 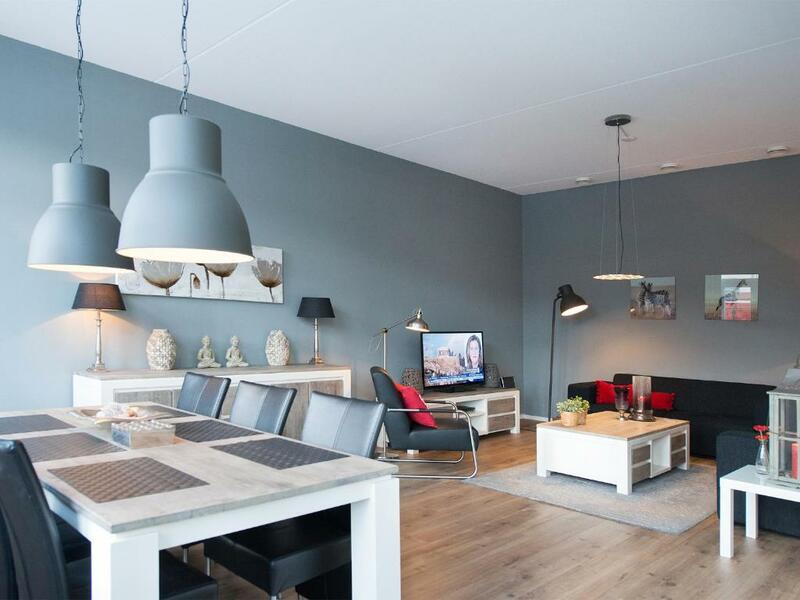 뀐 Located in the real heart of The Hague, this property has an excellent location score of 9.1! When would you like to stay at BizStay City Center Apartments? 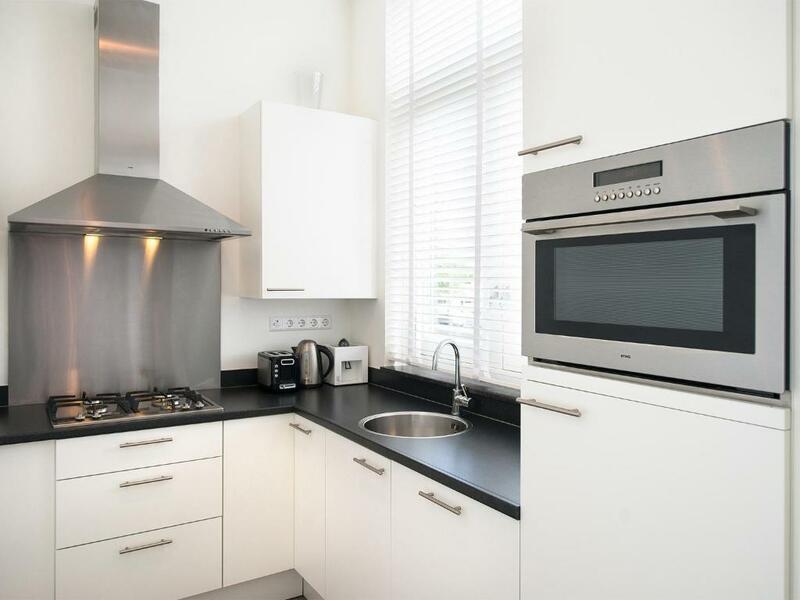 2-bedroom apartment located on the ground floor. Around the corner from the Holland Spoor train station and within walking distance of China Town. Bathroom with walk in shower, separate laundry room with washing machine and tumble dryer. There is free WiFi throughout the apartment. Paid parking is applicable. Double beds that can be separated. There are 2 bicycles available at the apartment which can used for free. 2-bedroom apartment located on the first floor (no elevator available). Around the corner from the Holland Spoor train station and within walking distance of China Town. Bathroom with walk in shower, separate laundry room with washing machine and tumble dryer. There is free WiFi throughout the apartment. Paid parking is applicable. Double beds that can be separated. There are 2 bicycles available at the apartment which can used for free. House Rules BizStay City Center Apartments takes special requests – add in the next step! BizStay City Center Apartments accepts these cards and reserves the right to temporarily hold an amount prior to arrival. 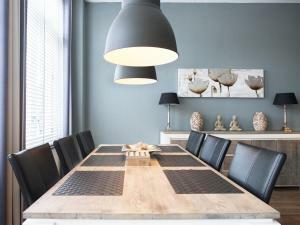 Please note that guests need to contact the property via phone, half an hour before arrival, because keys to the accommodations will be given in person. The property will contact guests by e-mail to provide more details and the check-in phone number after reservation. Please inform BizStay City Center Apartments of your expected arrival time in advance. You can use the Special Requests box when booking, or contact the property directly using the contact details in your confirmation. The price was too high regarding the apartment. I am now in very large apartment with two bathrooms and better location in the same price!!!!!!! Park behind apartment for children. Short walk to city centre. Close to tram stop and station with direct connection to Schipol. Two bikes included. There sometimes interruption to the internet. Washing machine quit working and took 3 days to fix (over weekend). Looked like previous guest caused issues. The floor heating makes it hard for the apartment to cool off. We were not familiar with this type of heating so I wish I had been better informed. The weather was rather chilly when we visitef, though, so my companions welcomed the warmth! The only problem was the instructions to the location of the parking that we were allocated. It gave us the address of the one opposite to the actual one. It said number 4 when the actual address is number 11 /13.